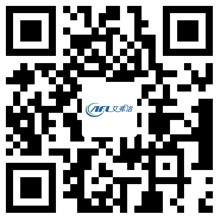 Roots Blower is a Kind of Positive Capacity Blower - Hangzhou Airflow Electric Appliances Co.,Ltd. Blower, also known as a fan, is a motor that uses a rotating impeller, a modern blower that converts electrical energy into air kinetic energy. A blower is a machine for conveying gas. From the energy point of view, it is a machine that converts the mechanical energy of the prime mover into gas energy. The blower is a habit of gas compression and gas transport machinery. Today is mainly about one of the blower - Roots blower. Roots blower is a volumetric blower. Principle is the use of two leaf-shaped rotor in the cylinder to do the relative movement to compress and transport the gas rotary compressor. The blower has a simple structure and is easy to manufacture. It is suitable for gas delivery and pressurization at low pressure and can be used as a vacuum pump. Roots blower mainly by the chassis, cover, impeller, import and export muffler, such as the four major components. The chassis is mainly used to support the wallboard, impeller, muffler and fixed role. Cover is used to connect the case and the impeller, and made the rotation of the impeller, and play the effect of the end seal. Impeller is the rotation part of the Roots blower, divided into two leaves and three leaves, but because of the three leaves than the two leaves of the pulsation is small, low noise, smooth operation and many other advantages, has gradually replaced the two leaf Roots blower. The muffler is used to reduce the noise of the blower. Roots blower conveyor media for cleaning air, clean gas, sulfur dioxide and other inert gas, special gas industry (gas, natural gas, biogas, carbon dioxide, sulfur dioxide, etc.) and high pressure conditions of choice for products. In view of the above characteristics, which can be widely adapted to metallurgy, chemical, fertilizer, petrochemical, equipment, building materials industry.